I have my own memory about Seremban town. During my study time, taking 3 hours bus from Segamat to Seremban for weekend outing or taking a transit to Kuala Lumpur via KTM Commuter. But then, I realized that I didn't explore much in Seremban town itself, and spending most of my time only in "Terminal One Shopping Centre". With that in mind, me and Christopher decided to have 1 day budget-trip to this capital city of Negeri Sembilan. We departed from Kuala Lumpur as early as 7.15am from KL Sentral via KTM Commuter and arrived to Seremban around 8.00am (45minutes train journey).As we were freaking hungry, our first destination is Pasar Besar Seremban for breakfast. A taxi cost us RM5 for a 5 minutes journey. It was okay as we can't walk with empty stomach. Arrived to Pasar Besar Seremban, we directly go to the second floor of this market and search for the foods that we earlier planned to eat; Seremban Famous Beef Noodle & Famous Mee Hoon Sotong. A quick review about the market, it was truly a chaos place with hundreds of people, vegetables, fresh foods, fish, poultries, other sundries and flowers. Finished with breakfast, its start to rain dizzily when we were walking to Masjid Jamek Seremban. Got love us, once we arrived to this mosque, it was heavily rain and we were stucked here for nearly 2 hours. This mosque was built on year 1900 and the land was a gift from Shiekh Abdul Kadir's family. This mosque can cater for 1000 people at one time and once was re-contructed on 1990 to replace the old mosque structure. But then, the old minaret which was built on 1924 still remained as its condition. During the 2 hours time, we just relax and chill at the mosque veranda while waiting for my ex-school mate, Shiera. Around 12.00pm, Shiera and her housemate arrived and the rain stopped. We went to Haji Shariff Cendol at Jalan Yam Tuan for some catching up. 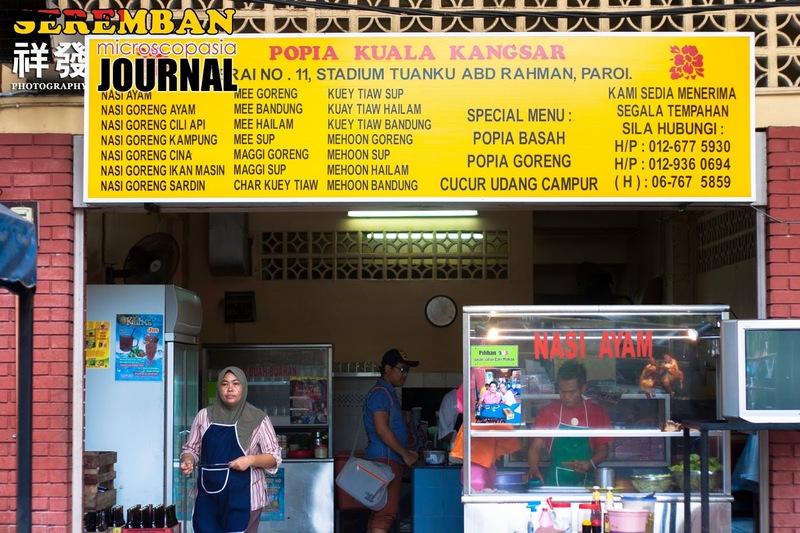 And yes, this Cendol place is one of the must-go place and it was in our Seremban trip schedule. 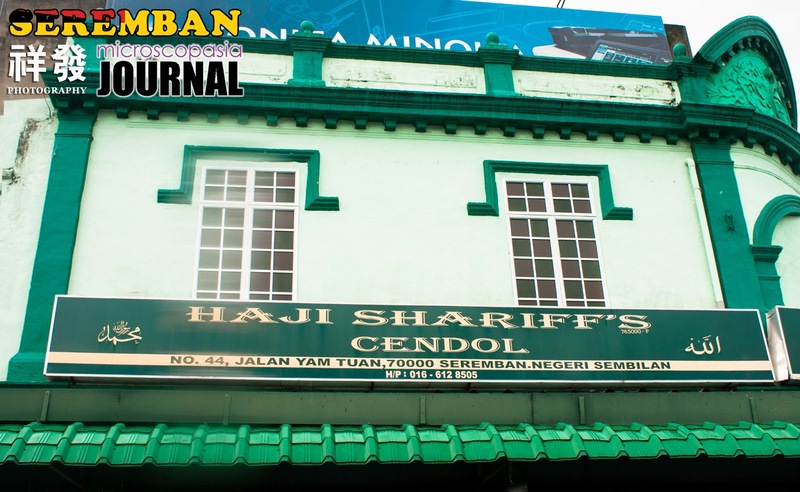 This Cendol place is located at one of the main street in Seremban and 100% in green colour. Besides Cendol, we ordered a serving of Rojak as well. Everything was fine here, just the immigrant workers here (I believe from India) were not so friendly. Tired i guess! Hahaha. Done with the Cendol at Haji Shariff, I asked Zam, Shiera's friend to send us to Stadium Paroi for us to enjoy Popia Kuala Kangsar. This popiah recipe was originally from Kuala Kangsar and one of my favorite. Besides, you can order fried foods and the nasi ayam. As per recommendation from Shiera, we ordered Nasi Ayam. One of my best Nasi Ayam was in here. The portion is big, the chicken skin is crispy and the soup on the side was tasty. Done with Popia Kuala Kangsar, we come back to Seremban town via CityLiner Bus. 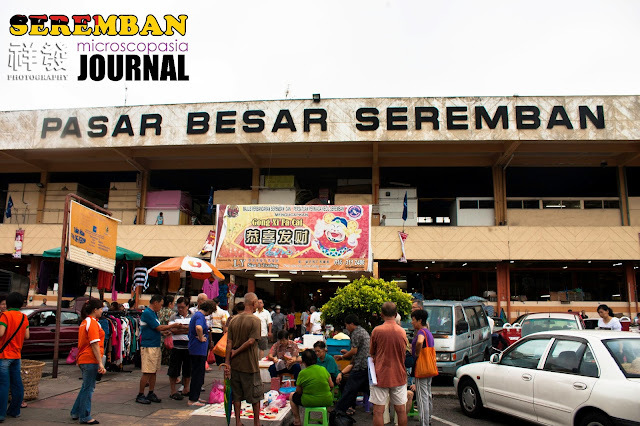 How much we spend for the first half of our day in Seremban? Thanks to my mate, Christopher for the great trip in Seremban. Please LIKE his photography page at 祥發 Photography for more photos and sharing. That's my hometown. Il love it, love it, love it. The cendol stores behind seremban convent. Seremban emporium and negri sembilan market. And Rex theatre, Ldo theatre and Odean theatre. Enough.. Too much nostalgia. I discover that Seremban has a lot of old buildings. wahhhh bestnyaaaa.. Dah lama tak ke seremban ni..
-salam dr Adza Irdawati team MBC. Lama lama takBalik kampung. Sudah lupa language. 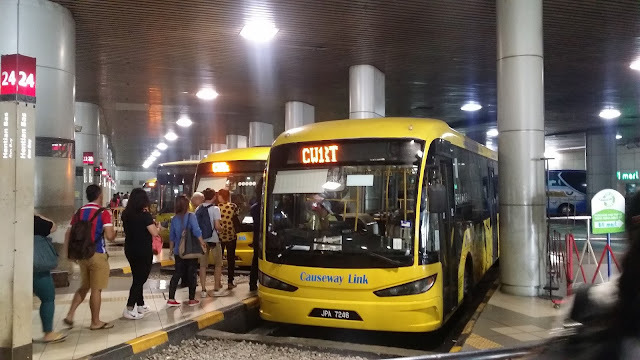 Mesti pergi ke Titi Dan port Dickson. Miss the small towns. What and where is Titi? 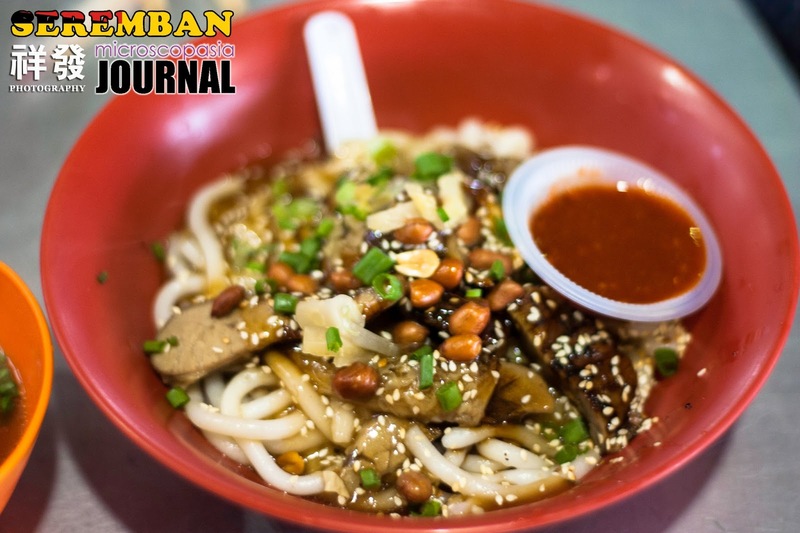 Is Halal Foods Really Halal in Ho Chi Minh City?